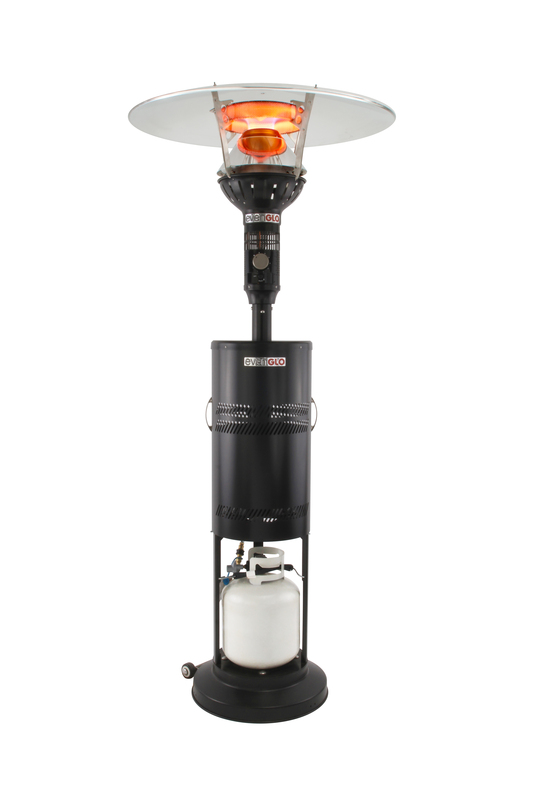 At various times of the year, mainly in the fall and springtime, freestanding “post-style” or “dome-type” portable propane patio heaters begin to flood into "big box" stores across the nation. The most common question we get from consumers is “why are some patio heaters so much cheaper than others”? The answer to that question is in the question itself - “cheaper” being the key word. Yes, the heaters sold in the big box home centers and retailers are cheaper (less expensive to buy) because they are cheaper (cheaply made). It matters little whether they’re made in North America or overseas. 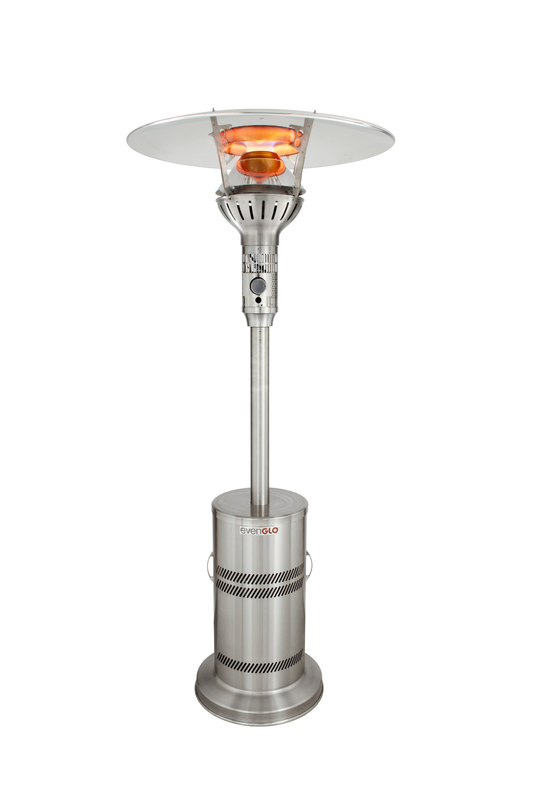 Patio heater prices are determined largely by the quality and features offered. It’s true that, as market demand has increased, patio heater prices have dropped over time (that's true with almost anything right?) What was once a unique item sold through specialty fireplace and patio furniture shops has become readily available through retail outlets everywhere, including online stores. A heater that once sold for $650 or more is now as low as $199. But over the course of time, what has happened to product integrity? What about the quality of materials, technology, reliability, performance and warranty? We’ve observed that post-style patio heaters are now lower in quality than in years past. And that’s not a good trend. At a recent HPB Expo in Salt Lake City, a national show where manufacturers of hearth, barbeque and other outdoor products from around the world gather to introduce new appliances and shore up distribution channels with distributors and dealers, we saw at least a dozen cheaply made patio heater knock-offs. Most of the heaters I reviewed had prices ranging from $179.00 up to $299.00. A few of these heaters were of very low quality (ie. 4 piece top reflectors, flimsy posts, and low grade, low gauge steel). But what struck me most was that the technology (or lack thereof) was basically the same as what existed 25 years ago - “drum style” burner heads and a very cheap piezo ignitor. There was nothing new and innovative. The only real variations were color and the size of the mushroom reflector above the heater head. 1) Burner Head. Cheaper brands use a “drum style” burner, which distributes heat laterally, wasting up to 50% of heat energy to the open air without actually reaching the target area. By stark contrast, EvenGlo uses a multi-faceted burner head that maximizes use of all nearly all of the available heat energy emitted by shooting a torch style infrared flame into a collector, which then bounces heat energy both downward to a “bottom feeder” and upward to a large mushroom dispenser. In fact, the patented EvenGlo reflector reflects up to 58% more useable heat energy to the people zone! This burner head is unmatched by any competitive product. 2) Controls. Cheap brands use inexpensive push button piezo ignitors. Simply put, they are unreliable and frustrating to use. EvenGlo uses a heavy duty control knob ignitor. It ignites easily on every try. As all too many patio heater owners know, igniting the heater can be the biggest hassle of all. 3) Heater Weight. The cheapest patio heaters weigh as little as 40 lbs (without tank). The EvenGlo weighs 140 lbs (without tank)! . Which one do you think is made better? If you said the 40 lb. heater, you’d be wrong. The EvenGlo weighs more because it is built with heavier gauge steel. Standard is 304 Stainless steel, which is what high end commercial kitchen appliances use. By constrast, the cheaper units use 430 stainless, which is lighter weight and will in fact corrode over time. 4) Top reflector. Cheap patio heaters have small reflectors made of aluminum or 430 stainless steel. The EvenGlo uses a much larger top reflector made of polished 390 stainless steel – the highest grade stainless available! It’s size, orientation, rigidity and material quality guarantees maximum performance. The EvenGlo reflector is also supported by three rigid supports that maintain the shape and integrity of the reflector, even with a foot of snow resting on top. In May of 2007 The Food Service Technology Center conducted extensive testing of the EvenGlo (FSTC Report # 5011.07.05). They concluded that the EvenGlo heated an area far bigger in square feet (137.9 s. ft.) compared to the top competitor (96.6 sq. ft.). What’s even more astounding is that the EvenGlo generated mean radiant temperatures in a 12’ perimeter that were much more uniform towards the edge of the circle than the competition. Why is this so important? It means that patrons can feel more comfortable at a further distance from the heater without crowding around the post. The report concludes: “The EvenGlo ... heater represents a revolutionary step in the performance of dome-type heaters, in both size of area heated and the evenness of the heat delivered. 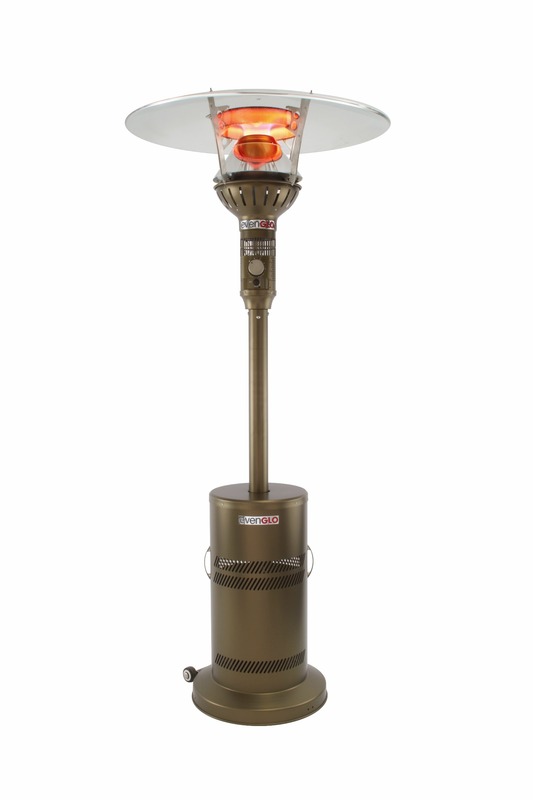 The effective heated area, the defining characteristic of a patio heater, is 152 sq. ft. at high input, more than 50% greater than similar heaters previously tested by the FSTC. With a very large effective heated area coupled with an even heat distribution, the EvenGlo ... has demonstrated tremendous performance improvements over traditional designs, and warrants serious consideration by anyone in the market for a dome-type patio heater”. For discriminating consumers, the EvenGlo sets the standard for innovative technology and performance. It is a patio heater like no other. For the reasons mentioned above, be prepared to pay more - substantially more. As the old saying goes, "you get what you pay for". Scott Workman owns and operates Infra-Red Products Supply, Inc. of Draper, Utah. In business since 1986, Infra-Red Products has become recognized as one of the foremost leaders in energy saving heating system design and sales for residential, commercial and industrial consumers. For more information, visit www.infraredinfo.com, www.heatersunlimited.com or call Infrared Products toll free at 800-566-6893.